Maybe a couple of years late, but I heard this was a good show and I'm generally open to anything. 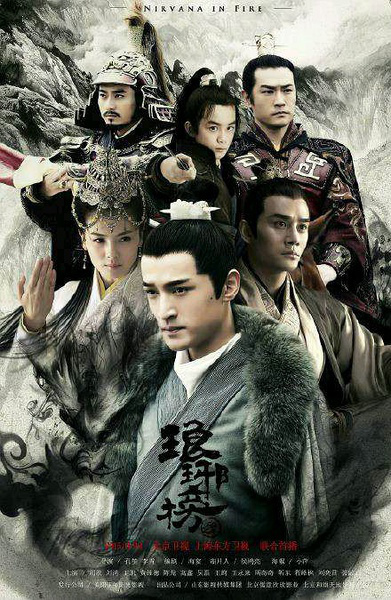 So hearing that this was a Chinese drama set in the sixth century is something that really put me to the test. The title didn't seem to even make much sense to me, and I was wondering if the subtitles would be a chore to read through...But, luckily I found a web site where they are actually pretty well done! I hate to say I was surprised, but the quality of the show from the actors, writing and cinematography all really surprised me...In a good way :) It's definitely one of the more memorable shows I've watched, and I actually wish there were more episodes to watch. Besides the great story, politics, scheming that goes on throughout the show, I also felt like I was learning about Chinese history at the same time while being thoroughly entertained. Tip: Try to get the names straightened out, characters go by multiple names so it's tricky to keep up sometimes. To get hooked on the show, watch them here, I found that that the subtitles on Youtube were generally not as good.